The poor college students guide to raising a baby: Hair bows! 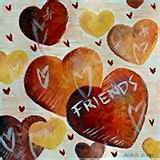 I know you all love me (lol) and I love you! So since we all love each other, I figured I would share my weekly work with you! 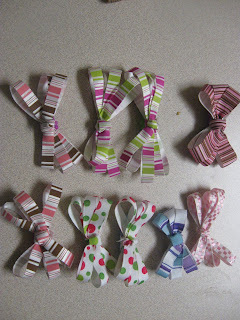 I have been busy making bows like a mad woman- way more than my DD could ever wear! SO please take a look at them, and email me if you would like some! The price is $4.50 for a set of 2. If you buy 5 sets of 2, you get a set for free! 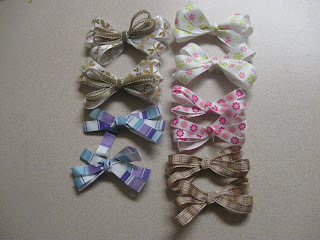 So that is a total of 12 bows for $25 with shipping!! SO take a look and let me know what you want! CLick on my email link on the sidebar and let me know. I take Paypal and will ship as soon as I get the money. I can also take a check if I think you are not going to scam me! (of course they all uploaded sideways.... White with brown dragonflys and tan fuzzy top, white with green and pink flowers, purple stripes, white with pink flowers, tan and pink plaid. Cupcakes, orange with yellow and crown jewel, blue flowers on white, purple with purple top. WHite with pink and purple flowers, brown with yellow, blue and white flowers, blue stripe, white with blue and green flowers. (These are smaller) Light green with white flowers, brown with white dots, orange with yellow flowers, green with pink and white spots. Light pink and brown stripes, pink and green stripes, pink and green dots, pink and brown tiny stripes. 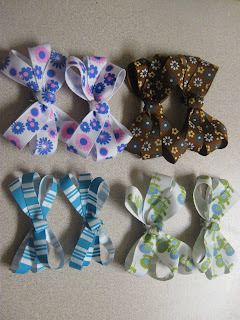 My favorate- baby bows! A little bit of KY jelly sticks these on babes with no hair! $3 plus $.50 for shipping! 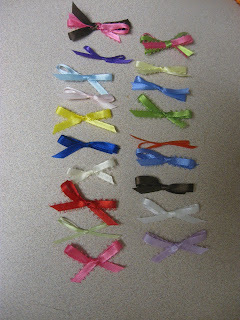 Includes 17 regular colored bows and 3 double bows in any colors of your choice! OK...now I've heard everything. KY jelly sticks baby bows to itty-bitty baby heads??? That is the best household hint I've heard *ever*. 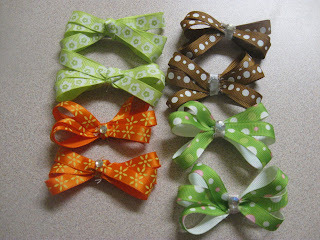 Great job on the bows, they're really cute :D .
Josie, these are so cute! I wish I had a little girl to put them on!!! 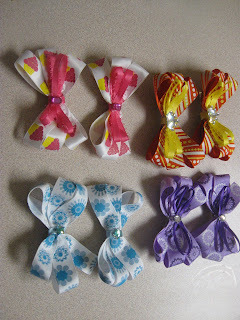 I am interested in the bitty baby bows... I have a few friends having girls and I don't want to go buy rolls of all these ribbons... can we do a LARGE set with multiples of each and (pinks, purples, white, black, brown etc...) email me your thoughts!